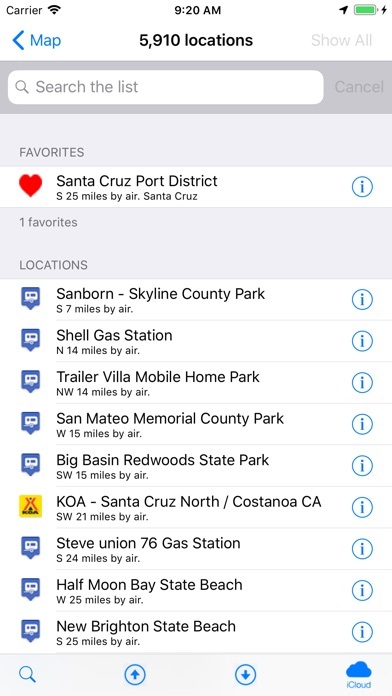 This app shows over 5,900 RV dump stations throughout the US. and Canada. Includes rest areas, truck stops, KOAs and more. 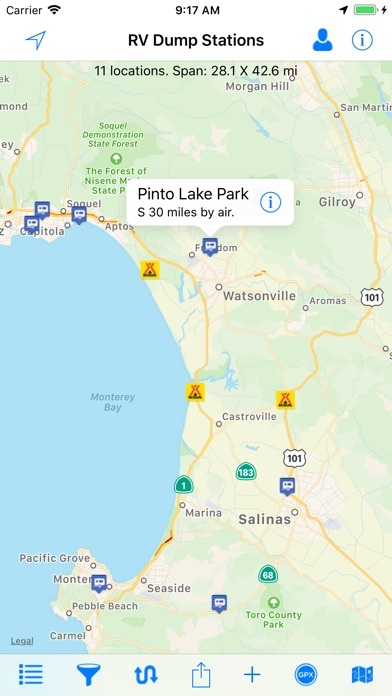 We want to expand our RV dump station database as much as possible, so we have made it easy for you to easily submit a new RV dump station - simply tap the + button below the map. We will be updating the database often. Additional features: - Import routes from GPX files. 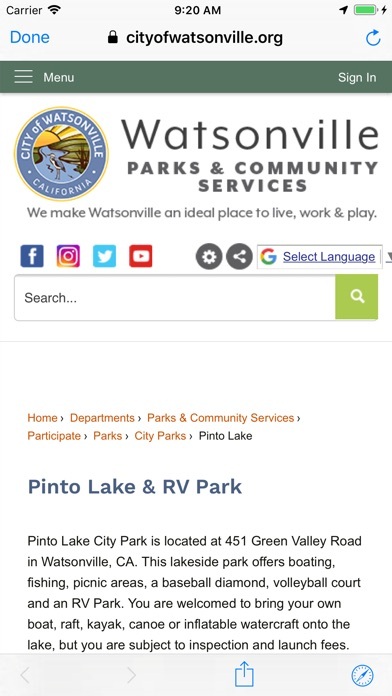 This makes it much easier to find RV dump stations along your route. - Filter what type of location to display. 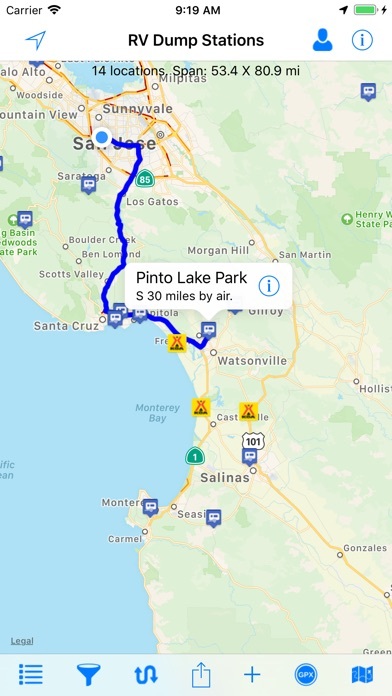 - Show a route between your location and the RV dump station. - View the dump stations in list view; easily search the list. 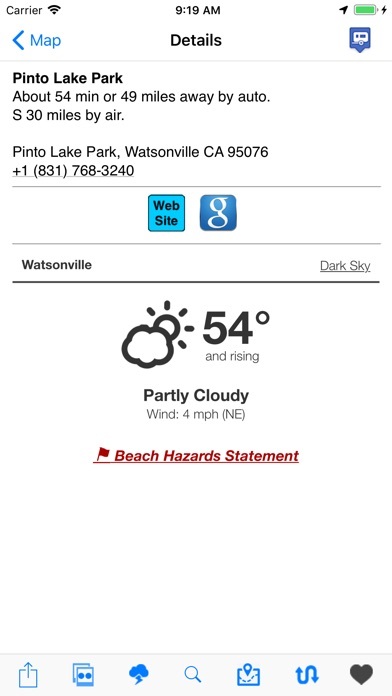 - Get the local weather for the location. Lack of information, only two camp ground show up when i’m looking fo dump station, none of them have dump station. If you need people to contribute your app, have them install for free instead of making them pay... the contributor is very active to respond each negative feedback, you better use that time to work on your lame app. Why is this app called RV dump? Can’t change from km to miles. Pointless and not up to date. 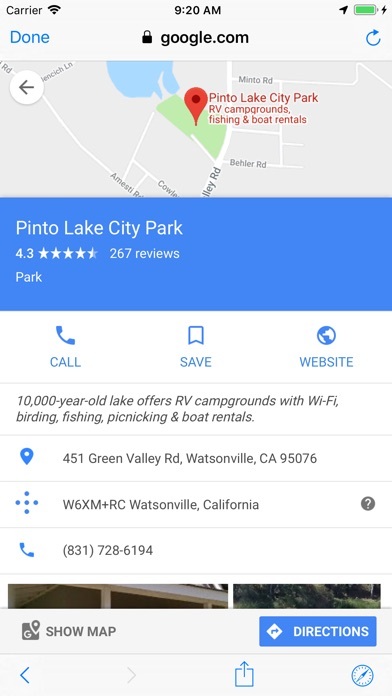 Just google states to dump in for free or use you camping app. This app has the least amount of info. I checked on line just typing in “dump stations”and found more dump stations then this app has! Zooming in may show you no availability. Start zoomed out to find locations, and tap on icons to see. Do NOT zoom in. In a densely-urban area like the San Francisco Bay Area, there may be far fewer dumps, and zooming in may show you nothing. There are far more locations per square mile near Albuquerque, NM, for example. It keeps making a point on needing to tell me how many miles everything is by air from where I'm at. What do I care how many air miles a dump is? I'm in an RV! It doesn't tell me once, it says it multiple places. It doesn't tell me anything I can use such as the cost, or where in the location it is located, or which way you have to enter a location to approach it. Basically a waste of time and money. Not impressed. Also, my RV doesn’t fly, why list distance by air miles? Stations I know and use are not in this app. Deleted from my phone. Looking for better.